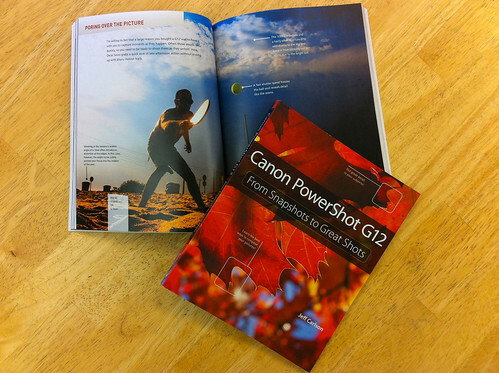 My PowerShot G12 Book Is Now Available! The book is an update of my book on the G10/G11, and includes details specific to the G12. For example, did you know that the G12 has a setting that waits to fire the shutter until everyone in the frame is smiling? 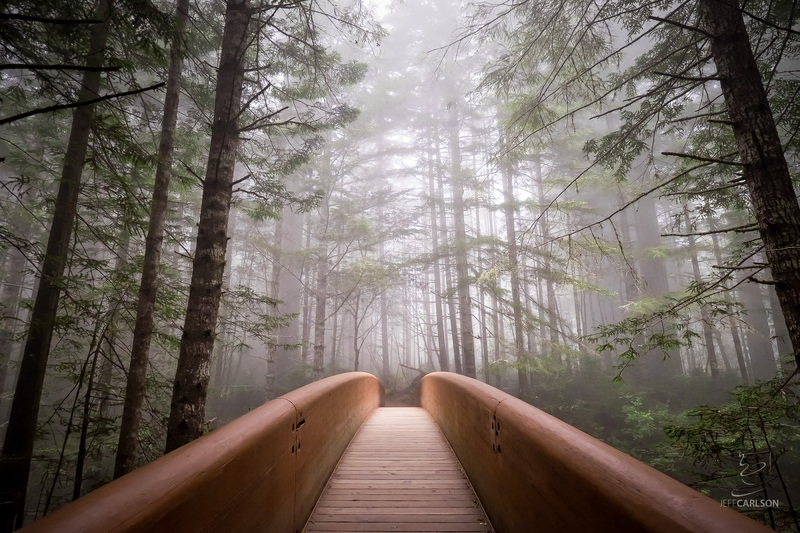 Or that there’s a new scene mode that shoots good HDR images? The book also includes a brand new chapter about shooting video, since the G12’s ability to shoot 720p HD video is one of the camera’s biggest new features. You’ll also find a new section devoted to shooting with an external flash using the G12’s hot shoe. As with the previous edition, the book contains lots of photos shot by contributors to the Flickr groups we set up to find great images, and I’m thrilled at the high level of quality and broad range of images we were fortunate enough to use. If you buy the book, do make sure to check out the photographers who appear—you’ll find links listed on page xi of the introductory chapter. Both Amazon and Barnes & Noble currently list the book for about $16 (37% off); there’s also a Kindle version, though I’m sure it’s grayscale. 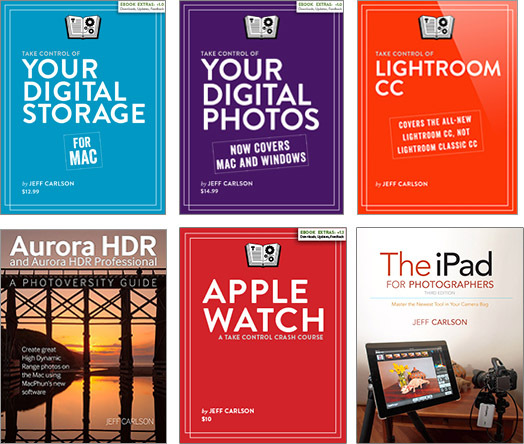 I imagine an iBooks version will also appear at some point. * The “It’s a book!” exclamation originated in a shared office I used to inhabit years ago. Now it’s become a tradition to say when the first copy arrives. Pity my poor officemates. Thrilled to be featured in the new edition, Jeff! Our copies showed up Monday. Thanks again!